Do you live in a really neat old house with quirky weird spaces you don’t know what to do with? Here is one of my favorite ways we utilized space in a kitchen in NE Portland that would otherwise be wasted. This house was built in 1927. 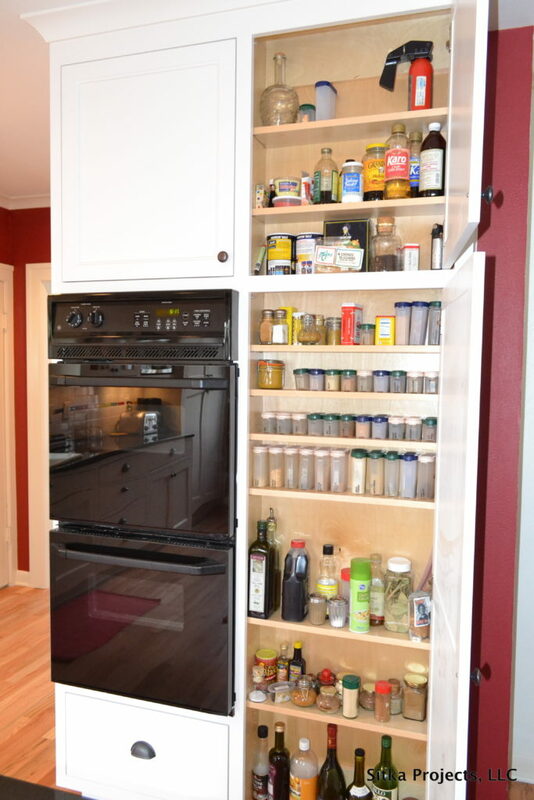 For this kitchen remodel we built in the ovens and were left with the cabinet next to it only a few inches deep. What did we do? We added shelves and it became the most awesome spice storage. 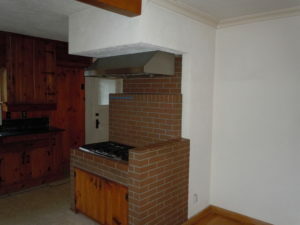 Perfect for the home owners who both love to cook!